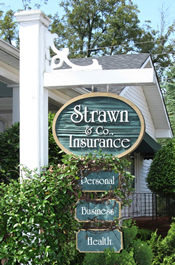 Strawn & Co., Insurance is among south Atlanta’s oldest and largest independent insurance agencies. Our agency was founded by W. Norman Strawn, Sr. in 1972, who was hired by Nationwide Insurance as an independent contractor with the purpose of providing property, casualty, life and health insurance needs for local families and businesses. Norman and his wife, Kaye were the sole proprietors for 13 years until 1985 when their son, Rusty joined the family business. Within a few short years of Rusty coming on board, the company started to see impressive growth. As the business continued to grow so did the need to provide the most competitive rates to their growing customer base and so in 1994, Strawn & Co., began contracting with a number of other highly respected insurance companies. This is when the company began to see its customer base expand exponentially. Although we are proud of our company’s growth, we pride ourselves on our unprecedented customer service. The staff that we have in place takes great pride in their work and the experience that they bring to the table contributes greatly to the agency that we are today. Our agency began in McDonough, Georgia and we firmly planted our roots here when we invested in the historical building our 23 employees reside in today located at 16 Hampton Street. From a small staff of two representing a single company, Strawn & Co., Insurance has grown to a highly automated center that represents many regional and national carriers.